Waitaha is no longer a member of the Te Maru O Kaituna through the joined membership provision of the Te Maru O Kaituna River Authority legislation. We will however assert our participation through the Waitaha Settlement Claim Act which recognizes Waitaha association to the awa. We have been working with BOPRC on the re-diversion project as part of the tangata whenua collective. To date earthworks tenders were issued, these are about to be closed. A contractor will be decided on, and commencing in the New Year. In addition the coastal protection committee received 2nd placing for environmental conservation for the restoration and replant work on Papahikahawai. Before and after works on the Papahikahawai causeway. Ka piki te ora! 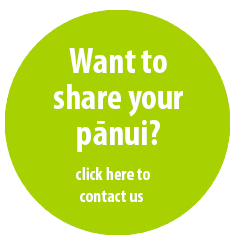 Prev:What’s happening at our marae?